I fought the battle of the bulge for decades with only small sporadic successes that were always followed by further weight gains. I like to eat and I really enjoy pizza, potato chips as well as ice cream and other fattening sweets. That’s why my problem wouldn’t go away. If it tasted good then I wanted to eat more and I often didn’t stop till the food ran out. Not a healthy practice! Then I was lucky enough to get involved in writing this blog on diet, exercise and good health. What happened next was almost like magic. At the time, 2010, I had pared my weight down to 165 pounds from a high several years earlier of over 220. So, I considered myself to be a success, although probably only temporarily. But, writing the blog changed my perspective. I no longer thought of food as something just wonderful to consume with no further consequences. I became aware of portion control and serving size. I started paying attention to them. 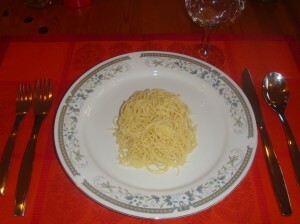 Previously, I had considered a serving of pasta, another of my favorites, to be a heaping plateful. Wrong. A cup of pasta amounts to 220 calories. And, that is without tomato or meat sauce. It turned out that I was perfectly healthy. My body was just responding to my changed perspective of paying attention to what I ate and not simply overindulging because it tasted good. That has been my actual experience. Today in late 2014, I weigh in the low 150 pound range where I have been for several years. I truly believe it was the changed perspective toward food that accomplished in months what I had failed at for decades. A friend recently emailed me a fun example of perspective that I want to share with you. 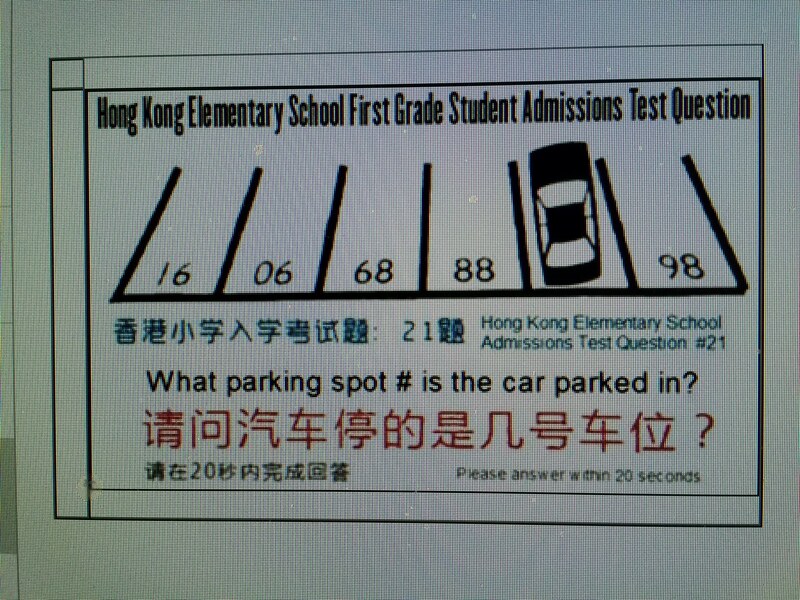 It is a test for admission to an elementary school in Hong Kong. There is a series of numbers in a parking lot. You need to fill in the missing one. I confess I didn’t pass it. And, I hasten to add that I am good at math. You are to answer in 20 seconds. I took way longer and still missed it. I will publish the answer tomorrow. Congrats if you did. You are one up on me. It’s all a matter of having the proper perspective.